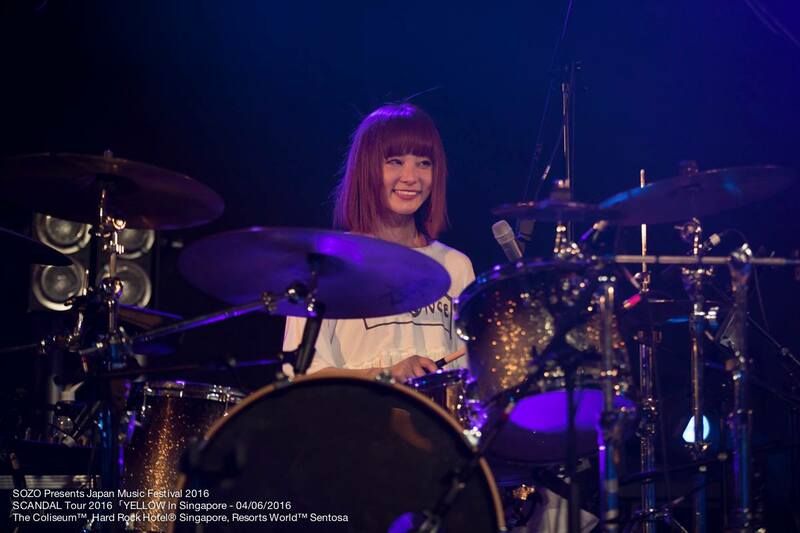 LIVE REPORT: SCANDAL @ Hard Rock Coliseum Singapore | VKH Press – J-Rock & Visual Kei Coverage Worldwide! Once again, Singapore welcomes SCANDAL back to her shores for an overwhelming concert. 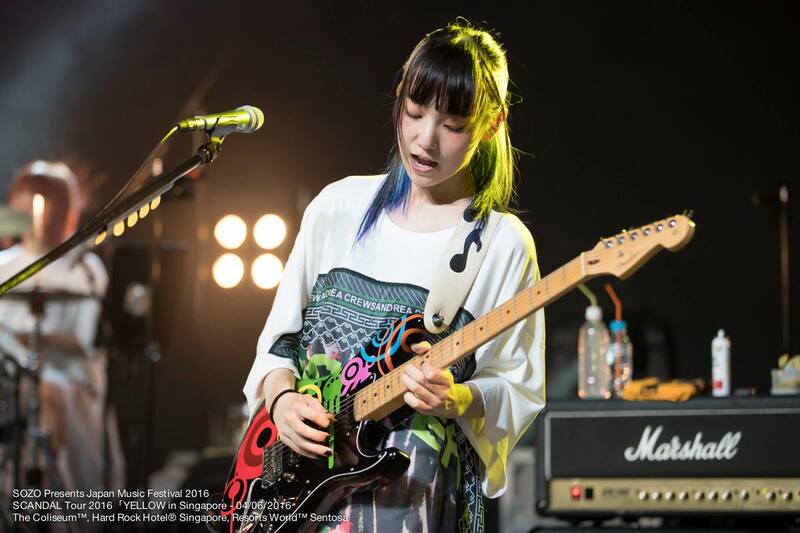 Despite Mami's recent hospitalisation due to deteriorating physical health, the band managed to salvage as many performances as they could, making their Singapore show the first live since then. With a bit of rap to start off their concert and the howls from the crowd, the members debuted on stage one by one, jamming to their first number, "Room No. 7". A fairly powerful instrumental that prepared the crowd for the rest of day was a perfect choice as the starter. The lighter song "Stamp!" followed up which was somewhat disappointing, but this song was played better live to the surprise of many. "Space Ranger" immediately came after, which was a classic from them. Then came on another of their heavier classic, "Kagerou". It was definitely sentimental and satisfying to listen to these songs as to mark their 10th anniversary. The crowd went wild after the song before Haruna greeted the crowd ecstatically and introduced themselves. They welcomed the crowd with warmth and expressed their joy to be in Singapore again. 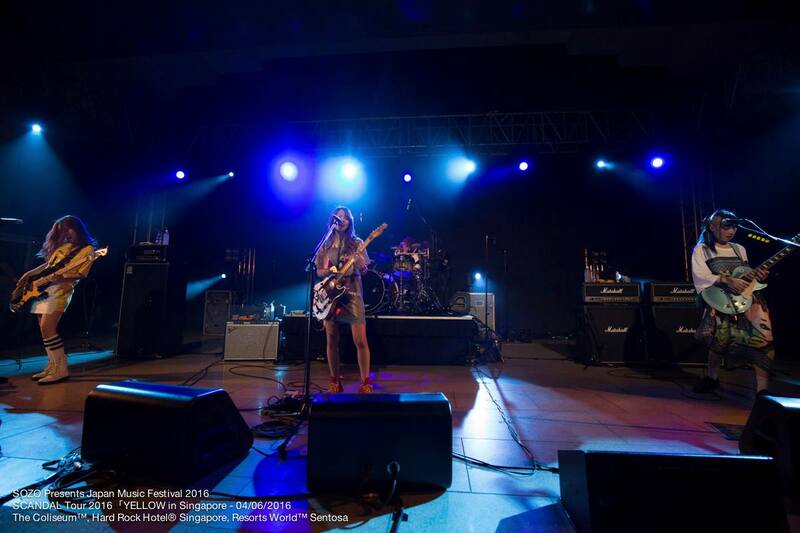 Ensuring the crowd was ready to rock on, they played one of their latest songs, "Sunday Drive"! The next number was "Konya wa Pizza Party" for which Tomomi led the crowd together through the song. 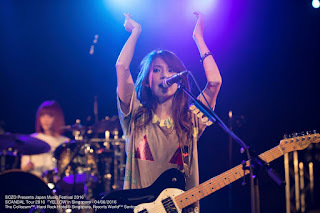 The distinct styles brought out by Haruna and Tomomi individually was certainly one thing unique about SCANDAL! There was a momentary rest before they jammed to their next number, "SUKI-SUKI"! A bright song that can really lift the moods of many was pleasing to the ear, but it was succeeded with one of their seemingly darker songs, "Heaven na Kibun". 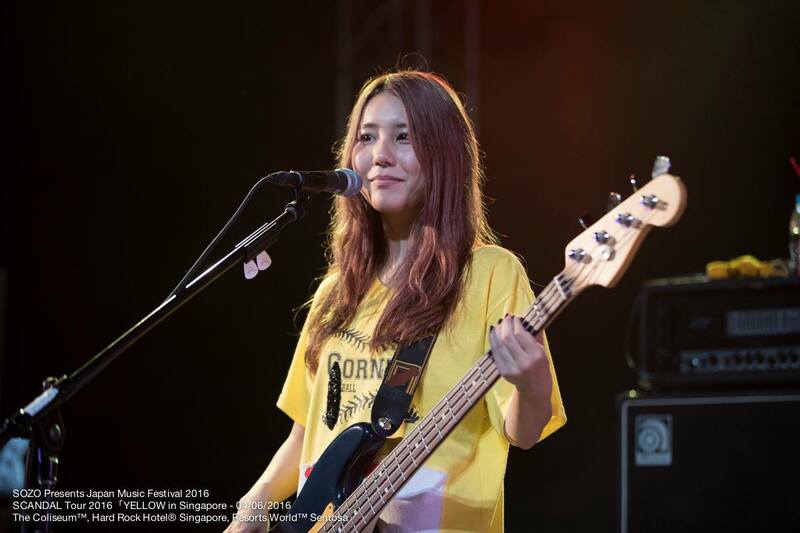 Haruna once again expressed her utmost excitement and was well received by the crowd. The band also mentioned how hot and humid the Singapore weather is! Mami then greeted the crowd, stating that she is recovering well and is feeling pretty good. That was certainly relieving for everyone in the audience to hear! Next up was the song "LOVE ME DO" and this number included a special segment to the concert for which a random selection of the audience had a unique photo pass that allowed them to take photos with their personal camera. Although this felt out of the blue, it was definitely a memento to the lucky winners. "Chiisana Honoo" was a song that made me feel teary at times and was certainly one of my top favourites from them! A short intermission for crowd interaction then followed up, asking about the nationalities of the audience. The crowd went wild when asked "Japan?" which was shot down immediately with Haruna saying, "Uso! (You're lying!)" 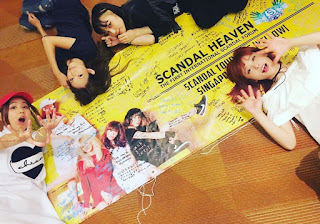 They then sought out those who were seeing SCANDAL live for the first time and places in Japan visited before by the crowd. The next number was their upcoming single this July, "Take Me Out"! A fairly amazing song coupling on with a familiar recent song, "Image" was simply perfection. "Sister" was then played and the crowd clapped along to the tune. It was commendable that the audience was still as energetic as they were from the start of this concert! Another of their top hits "SCANDAL BABY" was next. To put an end to the main segment of the show, they played "Departure". The band came back on stage real quick after the cries of encore from the crowd and expressed that they will be back for sure before they dedicated "Your Song -English Version-" to the audience! Although the encore was shorter than the norm, it was a perfect ending to receive the final number "Taiyou Scandalous" from them! Indeed, the crowd couldn't bear to see them go but fret not, the VIP ticket holders were treated to a "high-touch" session with the band members along with a gift poster! Overall, this performance was a satisfying one to view and definitely worth the price if you were there for the music. After all, the sound quality was decent with sufficient crowd interaction. However, although this particular venue has often been used for concerts, it is still a fact that there are still flaws for which it is really difficult to actually see the band members at all when there is a huge crowd, for example. We would like to express our thanks to SOZO for allowing us to present to our audience a review to SCANDAL's concert. Definitely, we hoped you have enjoyed reading the article and we really hope we can see SCANDAL round the globe many years to come! Wishing them to have more decades to come and Mami to always be at best of health! Check out an interview they had with Toggle by clicking here. Special Thanks to SOZO for the opportunity and for providing the photos for this report!